Aging can cause us to feel invisible and unwanted in a society that worships youth. 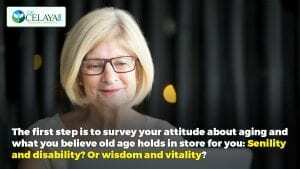 However, the key to staying youthful into your latter years doesn’t lay in the hands of your hair stylist or medical spa, but instead in your attitude. Research shows internalizing negative stereotypes about aging harms your health, which speeds up aging. 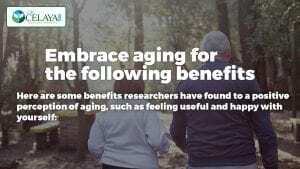 However, having a positive attitude toward aging can boost immune function, promote healthy behaviors, and help you feel in control of your life. Along with that that comes a diet low in sugars and processed carbs — chronically high blood sugar is behind many chronic diseases and brain degeneration. In fact, some researchers call Alzheimer’s disease type 3 diabetes because of the links between high blood sugar and brain degeneration. Avoiding other inflammatory foods (besides sugar, gluten and dairy are the most common inflammatory foods) while loading up on fresh veggies is another preventive dietary approach. 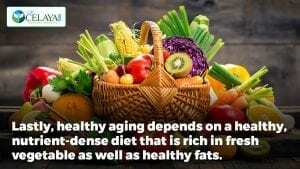 Ask my office for more advice on how to age in a healthy, positive way you can embrace.